So your monthly credit card bills just came in the mail and it almost feels like you’re pushing the roof on your budget. It happens to the best of us. But before you go finding assets you can liquidate, it’s possible that the answer might be right over your head. Yes – using your home as collateral for a home equity loan can help you consolidate your debt and even save you more in the long run. Unsecured debt consolidation loans have become highly unpopular in Canada. So as a homeowner, you essentially have one of three options. In this guide, we’re talking about the home equity loan. Home equity basically pertains to the portion of your home that you already own. To calculate your home equity, subtract the amount you still owe on your home from the value of the mortgage you took out to pay for it. So, if for instance you borrowed $250,000 to purchase your home and you’ve still yet to pay off $75,000 in monthly amortizations, your home equity would be $175,000. So, in essence, taking out a home equity loan means borrowing against that $175,000 value. For that reason, the home equity loan is often termed a second mortgage. When is It Time to Take Out a Home Equity Loan? One of the most common reasons why people take out a home equity loan would be to consolidate their debt. Credit card debt is a particular problem among most Canadians. In fact, according to a report issued by TransUnion, non-mortgage debt per Canadian stands at around $30,257, which also includes credit card debt estimated at $4,154 per person. Consolidating debt and paying them off once and for all with a home equity loan can give you well-deserved relief from the pressure of steep monthly interest. Why? Because if you find the right lender, you might be able to enjoy lower interest costs on your home equity loan compared to any other financing option you might have access to. What are the Benefits of a Home Equity Loan in Canada? The major benefit of a home equity loan is that they can provide you with a large lump sum upon approval. That’s because it’s secured against the value of physical property. In that light, the more equity you have on your home, the bigger the amount you might be able to take out. Another thing that’s particularly beneficial about home equity loans in Canada is that they typically have lower interest rates. While most credit cards charge an interest rate of anywhere between 16% and a whopping 29.99%, some lenders can offer you home equity loans for as low as 3.85% interest annually. Depending on the size of the debt you want to pay off, you could pay off the entire value and enjoy the relief of paying interest rates that take a large load off of your monthly amortization. Home Equity Line of Credit – What is It? 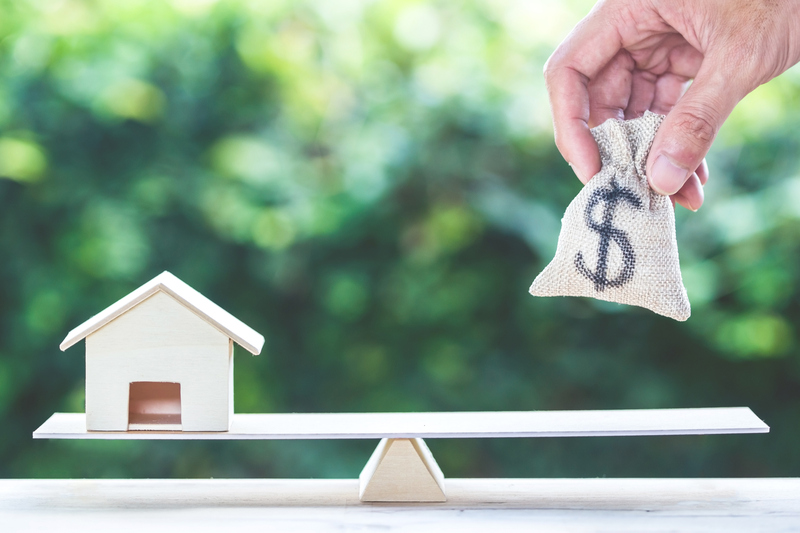 If you’ve been checking out home equity loans in Canada, then it’s possible that you might have stumbled across the term ‘home equity line of credit’ or HELOC. Is it the same as a home equity loan? While there are similarities, these are largely different financial assistance grants that might suit completely different demographics. With HELOC, you essentially have something similar to a credit card. You’re given access to a pool of funds which you can use at your discretion. That means if you don’t need the full amount, you can just take portions. Repaying a HELOC loan happens in two phases – the draw period where you take money and pay only the interest on what you borrow, and the repayment period when you pay for the principal you borrowed. So, if home equity loans and HELOCs are so convenient, why doesn’t everyone take one out to consolidate their debt? The one thing you need to remember is that taking out these types of loans puts your home on the line. If you’re unable to make payments, you essentially risk losing your house. Always consider your unique financial situation before making a decision. If you’re confident that you’d be better off consolidating debt with a home equity loan, then it’s probably time you find a lender. So, how exactly do you go about consolidating debt in Canada with a home equity loan? It all starts off by finding the right lender. After that, it’s a matter of calculating how much you actually need, how much the lender can provide, and how much interest you have to pay on top of the monthly payments. After that, securing the loan itself can take time, but requirements are usually far less restrictive since it’s a collateral loan. Enjoy relief from high interest rates on your debt and make room for savings. Find a suitable lender for a home equity loan in Canada by scanning our complete database for your perfect match.